NEW PRICE!!! GORGEOUS CHAIN OF LAKES ACCESS IN GATED WATERFORD OAKS, private community boat ramp to Lake Winterset!!! This 3,047 sq. 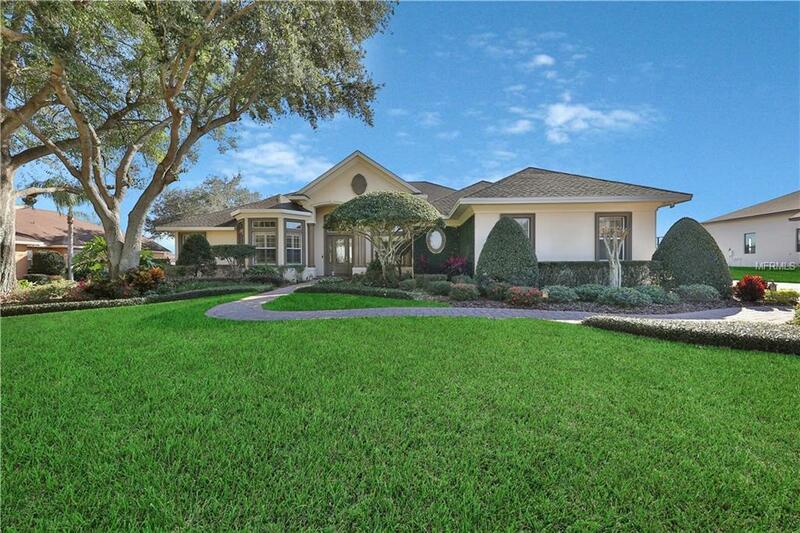 ft. of living area, 4 bedroom 3 1/2 bath home comes with an endless list of luxury touches! High tray ceilings with crown molding, recessed lighting, beautiful attention to detail, plantation shutters, large inside laundry room with custom cabinetry and laundry sink, a 3-car side load garage with extended stall for boat storage. The sparkling pool/spa is screen enclosed with a large covered lanai, perfect for enjoying the beautiful Florida sunshine! The true centerpiece of the home is the amazing eat-in kitchen featuring a built-in oven, granite counter tops, center island & custom cabinetry. The kitchen is open to the living room and overlooks the lanai and private pool area for easy entertaining and spending time with family and friends. The master bedroom is a true retreat with its own access to the pool, a sitting area, double walk-in closets, and a gorgeous master bath featuring dual sinks, vanity, garden tub, and spacious walk-in shower, and there is an adjacent office with custom built-ins. Additional bedrooms are generously appointed including a third bath leading out onto the pool area. This amazing gated community with access to Lake Winterset on the Chain of Lakes is close to shopping, medical, and Legoland! Come make this your home! Call or go online for an appointment to view today!! !